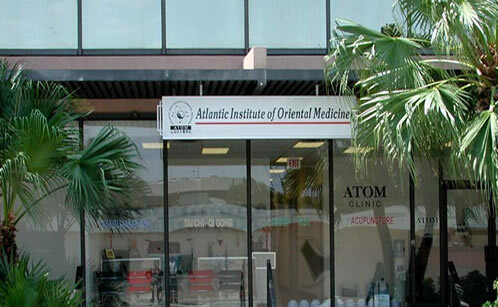 ATOM is authorized to enroll international students from all over the world for both its Master’s in Oriental Medicine and its Doctor of Acupuncture & Oriental Medicine (DAOM) programs. For information regarding the admission of international students into any of ATOM’s programs, please contact ATOM’s Office of International Students at 954-763-9840, Ext. 205.
International students interested in enrolling at the Institute must comply with all admissions requirements listed under Admission Requirements section of this catalog, and with the following additional requirements. If written in a foreign language, foreign students must have their official transcripts accompanied by a certified document providing English translation of course names, hours, and grading system. College work completed outside of the United States must be evaluated by a certified foreign transcript evaluation agency. Fax:(305) 273-1338 World Academic Research Center, Inc.
A $30 nonrefundable application fee must be paid at the time of application. All I-20 international students are required to enroll full–time, like all ATOM students, for a minimum of 12 months each year. All questions regarding visa status, accommodations, application for driver’s license and OPT training, etc. should be directed to the Office of International Students at the Institute. International students must also submit a Declaration of Finance form (click here for: Masters or Doctoral) to be completed by their banks. This document must show sufficient financial resources, with a minimum of US$ 30,000 for Masters degree seekers and US$ $28,000 for Doctoral degree seekers for one academic year, to cover education and living costs. For more information, please contact the Dean of International Students: (954)763-9840, Ext. 206; hchen@atom.edu. Thank you for your interest in our programs please click the link below to contact us. OF ORIENTAL MEDICINE100 E. Broward Blvd.